If you like boots with bling, cowgirl history and cattle in the city, then you might like a trip through Fort Worth, Texas. There are lots of things to see, do and eat while in the city. 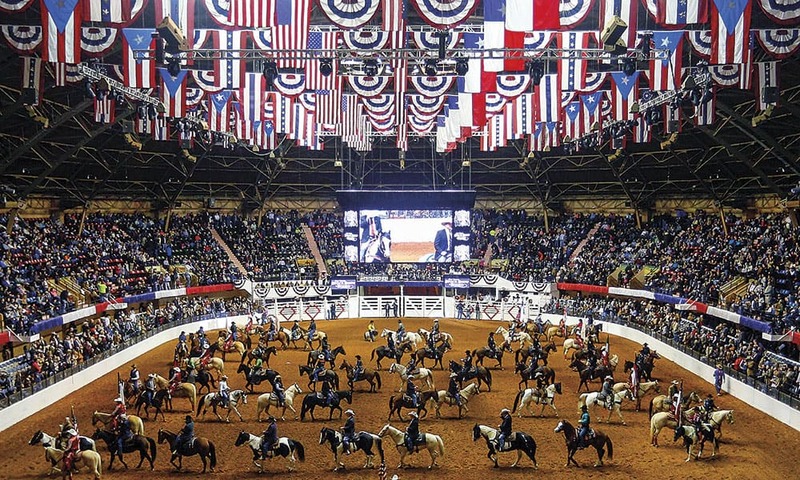 A good time to visit is during the Fort Worth Stock Show, which is held annually between January and February. Keep reading to see what cowgirls shouldn’t miss in this Texas city big on Western heritage. 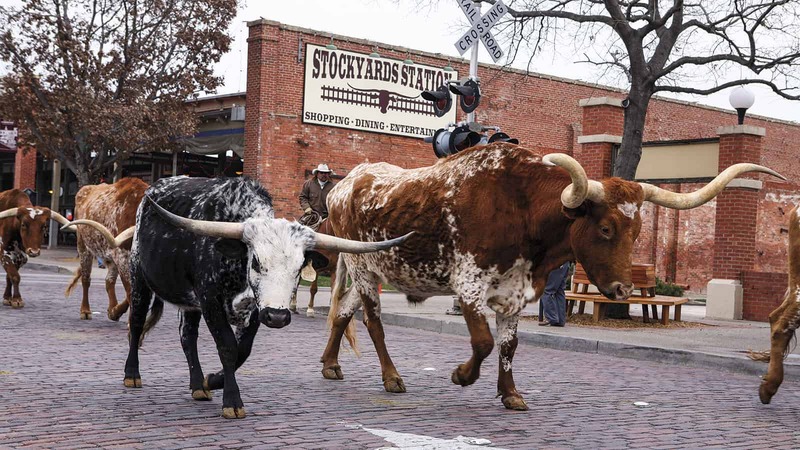 Located in North Central Texas along the historic Chisholm Trail, Fort Worth became a railroad stop when the Texas & Pacific Railroad arrived in 1876, spurring promoters to build stockyards to help cement Forth Worth as a center for the cattle trade. When trail cowboys reached Fort Worth, they took advantage of civilization, buying provisions and reveling at saloons. As a woman who spends long days, but not usually months, in the saddle, I can only imagine the excitement those cowboys would have taking advantage of their time in “civilization.” Today, travelers who may have endured a delayed flight or two can carouse on a more tame scale in the Stockyards Historic District. Start your trip street side for the cattle drive, which happens twice daily along Exchange Avenue. Seeing longhorn cattle hoofing down the cobblestone streets like models on a catwalk is quite a scene. They amble, showing off their curvaceous horns. Cowboys and cowgirls driving the herd wear authentic frontier garb to complete the scene, giving onlookers a view of what the city might have looked like when the markets were open for trade. The last live auction at the Stockyards took place in 1992, but virtual auctions in the Exchange Building still continue the tradition. If you happen to miss the cattle drive, you can still see the longhorns hanging out in their pens located behind the Livestock Exchange Building on East Exchange Avenue. For lunch, duck inside the historic Stockyards Hotel and get the ribs at H3 Ranch. Inside, I talked to the cattle drive’s trail boss, who is in charge of the cattle and cowboys. She told me stories of traveling to showcase these famous Fort Worth Longhorns, who serve as sort of mascots for the city, including an adventurous trip to New York City. She, like many Texans, takes great pride in theses hardy animals. As I heard more about the breed, they reminded me of the Connemara Pony, a resilient Irish breed that is able to live out all year round and survive on scrubs and small vegetation. The Longhorns also subsist off of whatever they can find on the land, be it cactus or weeds, and survive in all sorts of climates. 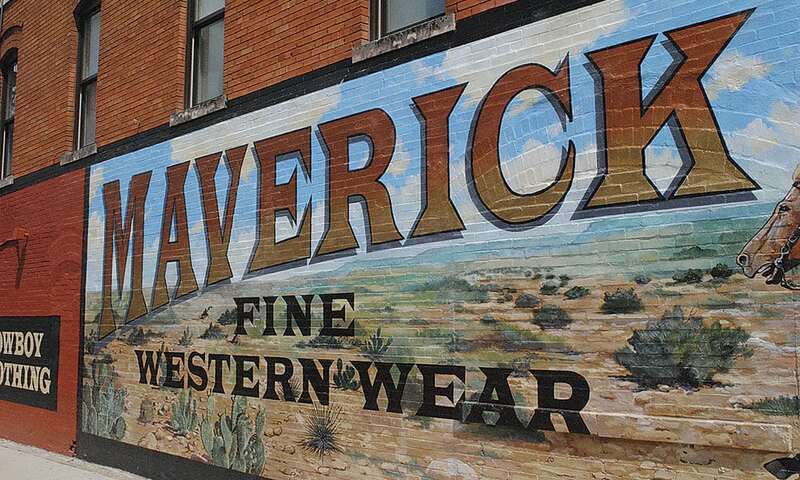 If you like to shop, consider hitting a few of the Western stores in the Stockyards National Historic District. I found a cool new jean jacket at Fincher’s White Front Western Wear. Retail legends M.L. 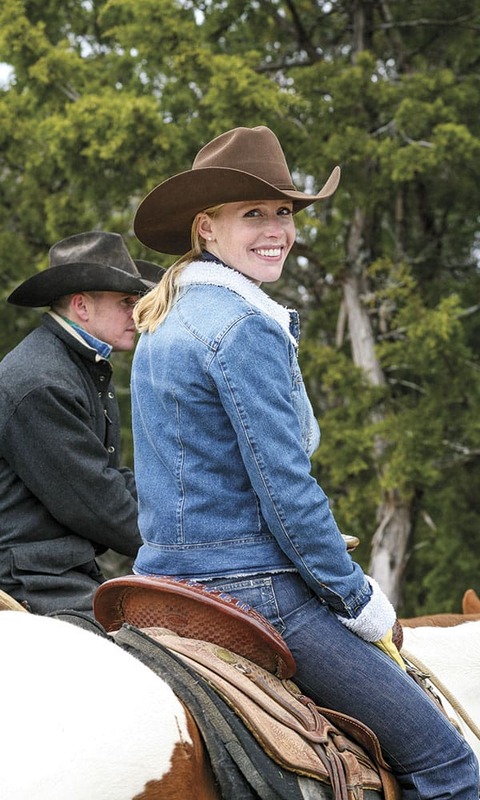 Leddy’s and Maverick Fine Western Wear are also good bets. For more horsey fun, head over to the Will Rogers Coliseum for the Fort Worth Stock Show & Rodeo. There are lots of fun events during this multi-week extravaganza and the Stock Show is still a family affair; it is a tradition to show your stock at the Stock Show. The Coliseum is a good place to grab a program and meander from event to event, whether it’s cutting horses, the rodeo, Mustangs competing or a goat milking competition. 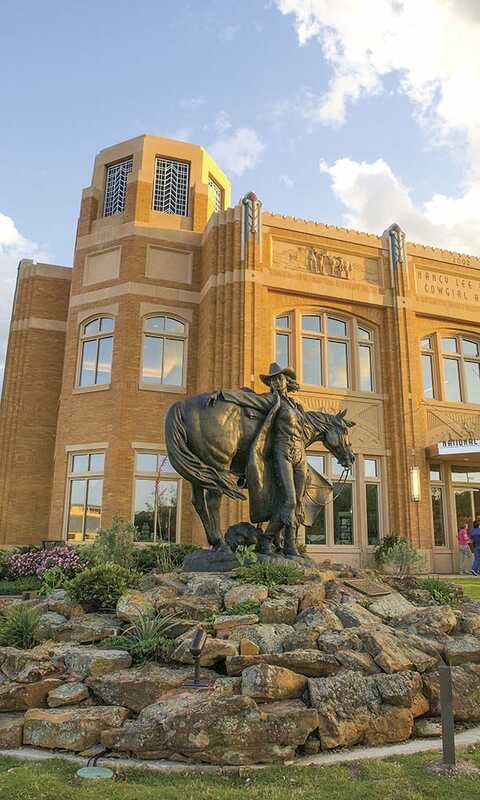 Finally, spend some time paying homage to cool cowgirls of the past at the National Cowgirl Museum and Hall of Fame. The museum might be my favorite site in Forth Worth; I love learning about courageous trailblazers of the past, such as Tillie Baldwin, the first woman to try bulldogging, Texas Rose, who could trick rope her way out of any situation, and Kathryn Binford, a female rancher who grew strong raising Hereford cattle and mending fences in Texas. Nestled in the Cultural District, the Museum and Hall of Fame uses interactive exhibits to relay information. At one point, I turned a corner and was almost blinded by a pair of bedazzled chaps, worn by a rodeo queen of years past. Modern bling pales in comparison to her adornments. Their gift shop also houses really fun and unique gift items. OUTSIDE THE NATIONAL COWGIRL MUSEUM AND HALL OF FAME. LEARN MORE ABOUT THE NATIONAL COWGIRL MUSEUM AND HALL OF FAME AT COWGIRL.NET. THE FORT WORTH STOCK SHOW & RODEO DATES FOR 2017 ARE JANUARY 13 THROUGH FEBRUARY 4TH. GET COMPLETE INFO AT FWSSR.COM.